What? An Eric Cantona interview on a Villa site? Well, one of MOMS roles in life is to interview actors and directors for the films they make. When British director Ken Loach’s film Looking For Eric premiered at Cannes Film Festival in 2009, one Eric Cantona crossed over into the realm of the day job. Recently seen in his latest film Switch , Looking For Eric is undoubtedly Cantona’s best role as an actor, after he swapped the football pitch for the big screen. But as a Villa fan, I’ll be honest, at the time, I was more interested in talking to him about the last time we had met, when I was at Wembley for a certain 1994 Coca Cola League Cup final. When Villa and their God Paul McGrath, memorably denied Manchester United and King Eric the treble that season. The morning of the Eric Cantona interview was also memorable. Before my audience with Cantona at Cannes Film Festival, I had an 8.30am screening of Quentin Tarantino’s Inglorious Basterds. Riding to the film on a mountain bike down the Croisette on a sunny morning, I got hit by a car. An elderly French woman had pulled out in her car, when I had right of way. After flying over her bonnet, checking nothing was broken and saying a few choice words in French, I set off to see Tarantino’s film. The problem with Basterds is it’s a bloody long film, so afterwards, by the time I met Cantona, my leg had swollen up badly, and I needed an improvised ice pack (tablecloth filled with ice from the hotel bar) on my leg during our interview. MOMS: You were an idol to many a football fan, but did you have your own footballing idols when growing up? Eric Cantona: No, but I admired a lot of people. I think it’s different. I was born in 1966, so during the 70’s I wanted to become a footballer, it was my passion. You couldn’t see many games on TV, so I was influenced by teams like Holland in that period. Their players always created something. They were like a revolution for me. Even the defenders were creators; their players could play anywhere. Do you think football back then was closer to the supporters? Now it’s become both more expensive and commercially driven, and there’s a detachment? That’s what happens with money. Do you think there is too much money in football? I think there is too much media in football. We all speak about the money of the players and the club, there is only that money because of the TV, who have paid a lot of money for it. There’s a lot of people who have to speak about football every day in the media, so the sponsors come because they know they will be on the TV twice a week, and all the money comes from this kind of organisation. The players take their cut, of course, because without the players there would be nothing. So the media will have to work very hard to help the situation. In football, but not in cooking or drinking! 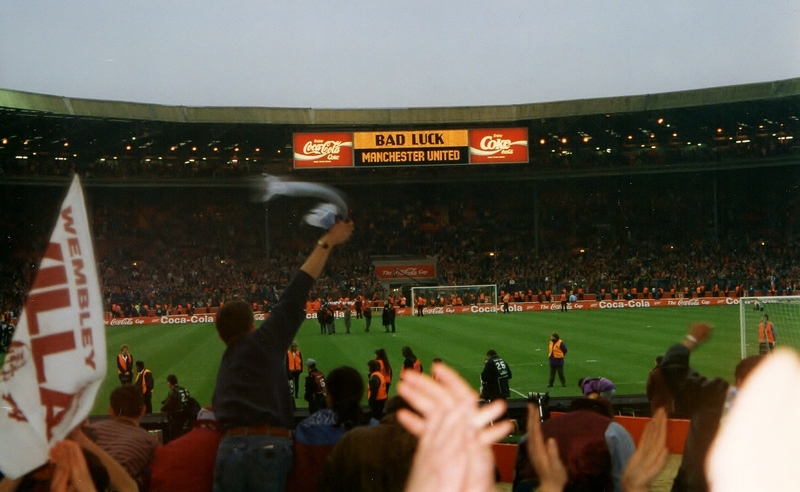 I was there at Wembley for the 1994 League Cup final when Villa beat United 3-1. Remember that game? [Oh, you really shouldn’t tempt fate, King Eric… fast-forward a few months and I’m at the next game the two teams play, celebrating a 1-0 victory to the Villa, in the away end at Old Trafford ]. [Laughing] Maybe, but I also remember the game because of the result! Like in everything, I think the balance is difficult to find. To only stay with British players and managers, I don’t think is good, but today there is too many foreigners. It’s not good for England supporters or the national team. Today, since the players from when I played – Scholes, Beckham, the Neville’s – have stopped playing for the national team, there is a big decrease in talented players. In the past, England had maybe 300 players to choose a team from, in ten years time maybe it will just be from 50 players. And they say, it’s the way to win [using foreign players], but in the past English football dominated Europe without foreigners. I think they need to find a balance. United found the balance, but they are the only one. Arsenal or Liverpool can field up to 10-11 foreign players, but United found the balance. They are half British and half foreigners, which is good. Yes, maybe. I think it’s a matter of education and having the realisation to do other things. You said you left football because you lost your passion for it. Do you think you would ever consider being manager of United, if you came back to English football? If I come back, I don’t know if I will, because I have a lot of things to do. If I came back one day, it would be for Manchester United, as they gave me an opportunity. But today I say no, but we will see about the future. How did you discover the acting profession? When I was a child I had a few dreams, the first one was to be a football player, and then I thought maybe one day, after football, I’d try to be an actor. I retired from football when I was young, but the people weren’t ready to see me as anything else and I had no other experience. So to finish one career, I had to start from zero with another one, but people don’t think you can do something else. If you’re not in a public eye, you can do something else, it’s not a problem for nobody, but when it’s a job where you’ve been in the public, like with football, people can’t accept you doing something else. So it takes time, for people to accept it, and also for me, to work a lot and get the experience to enjoy it. I think now people have accepted I could do something else and I’ve started to enjoy it being on set and screen. Was your brother, who acted, an influence? I remember you did some small roles in French films during the time you were banned from football [for the kung fu kick at the Crystal Place game]. Did you see that nine months period as a chance to think about what you were going to do after football? 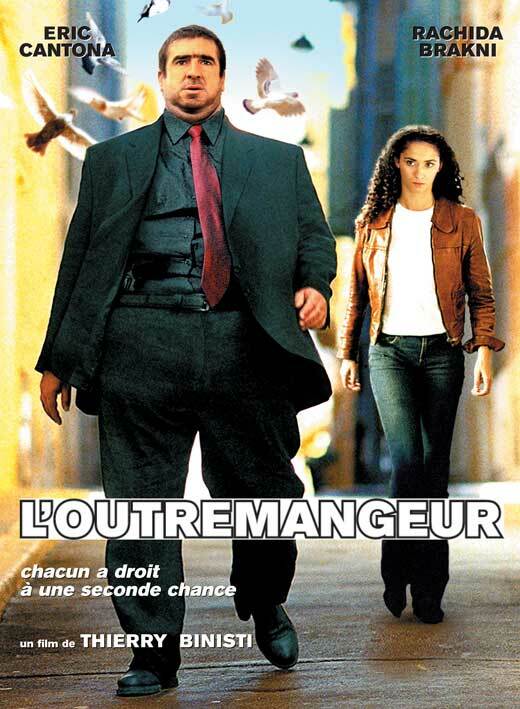 Yes, during the time when I was banned, I did a film with my brother, but to act at the time was still a dream. I trained even harder at the time, but I didn’t have the games, so I could waste energy on other things. I tried other things and thought a lot about the future. When I was banned for nine months, I tried the trumpet, acting…I tried everything! I stopped the trumpet and decided to act. 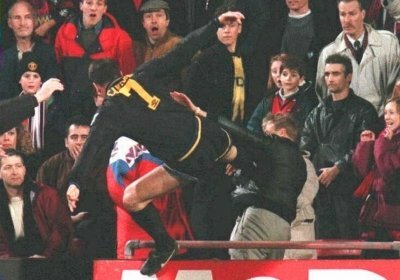 Do kung fu, play the trumpet…what can’t Cantona do? What’s the most important lessons you learned personally from football? To walk individually and to give 100% of what you can give to the team. Like working in cinema, and it’s the same like many things in life. So is there any difference in your attitude to your work now? With a player I played with the strategy of the manager, as an actor I play with the strategy of the director. I like to find a freedom, but you have to deserve the freedom. I don’t like dictatorships and I don’t like people who accept everything. The difficulty is to find the balance to be loved and respected. In life, too. So how did Ken Loach [esteemed director of Kes, Looking for Eric] compare to Manchester United boss, Sir Alex Ferguson? They have a similarity in the way they give 100 per cent to the actors or players. They give humility. 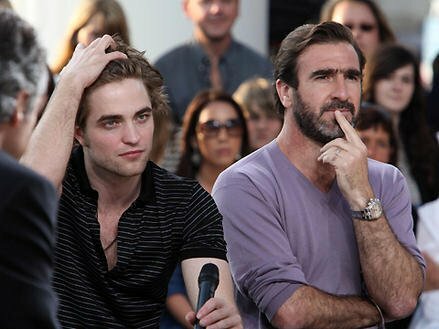 They are both great men, which is what they have to be before becoming a great director or a great manager. You said that Italian director [Pier Paolo] Pasolini was one of your heroes. Why do you like him? I like some of images of his movies because they can be like paintings. I also find an emotional beauty to things – in Pasolini or Wang Kar Wai – every image is like a painting and it’s wonderful. All the colours and details are important. When you played football, did you ever meet a teammate who you could talk about Pasolini with?! Yes, lots, but the players didn’t want to waste energy taking about Pasolini in a press conference about a football match! Do you have any favourite players at the moment? I don’t watch many or enough games. You seem pessimistic about football? No, because I am sure very soon, football will have to decide many things, but it will find the solutions.